The Best British Short Stories anthologies reprint the best short stories published in the previous calendar year by British writers, whether based in the UK or elsewhere. The editor’s brief is wide ranging, covering anthologies, collections, magazines, newspapers and web sites, looking for the best of the bunch to reprint all in one volume. After a year of reading and months of deliberation editor, Nicholas Royle, delivered a stellar the line-up for The Best British Short Stories 2012: Emma Unsworth, HP Tinker, Michael Marshall Smith, Dan Powell, Julian Gough, Stuart Evers, Stella Duffy, Socrates Adams-Florou, Jonathan Trigell, Will Self, Jaki McCarrick, Robert Shearman, Alison MacLeod, Jo Lloyd, Neil Campbell, Joel Lane, Ramsey Campbell, Jeanette Winterson, Jon McGregor and AK Benedict. I was thrilled when Nicholas selected Half-mown Lawn for inclusion in the 2012 anthology. It tells the story of Annie, a middle aged woman struggling with a sudden bereavement. Half-mown Lawn was the Yeovil Prize winning short story in 2010 and was originally published on the Ether app in 2011. It will be reprinted as part of my debut collection of short fiction, Looking Out of Broken Windows (Salt), due out in 2014. 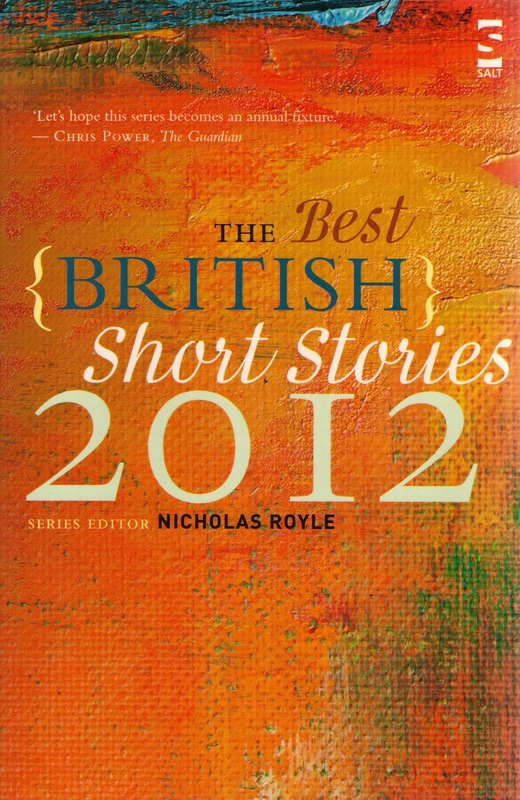 From the blurb: The second in a brand-new series of annual anthologies, The Best British Short Stories 2012 reprints the cream of short fiction, by British writers, first published in 2011. These stories first appeared in magazines from Ambit to Granta, in anthologies across various genres from publishers big and small, and in authors’ own short story collections. They were broadcast on radio and delivered by mobile phone app. They appeared online at Metazen and Paraxis.